The interview process can be confusing, even for those who have applied for dozens of jobs. Fortunately, there are plenty of general rules any job seeker can use to help ensure they impress the hiring managers they meet with every time. It stands to reason that any company is going to be more likely to hire someone who comes across as excited to work there, according to the Houston Chronicle. For that reason, it might be wise to really focus on jobs you're passionate about, or talk about aspects of those positions where you feel you'll be able to find something you enjoy. Every once in a while, an interviewer will throw you a curveball question you weren't expecting, and that's just how it goes, according to Monster. However, you should do as much research as possible beforehand so you know what the company does, what its corporate culture is like and so on, so you don't end up saying the wrong thing in response to a question. While there's no clear-cut rules for whether it's acceptable to take notes during an interview - some managers see it as attentive, others may view it as rude - it's important to do so soon after you leave, the Chronicle added. Jotting down some key points while they're fresh in your mind will help you give some specifics in your thank-you email (another must-do after every interview) and, potentially, nail the follow-up. This is a mistake entirely too many people make, Monster added. While you may stop for a coffee or bottle of water before your interview, many hiring managers can be put off if you bring it into the interview, because it can be seen as informal. It's better to finish it first or throw it away before you even enter the building. That may be especially true because in most cases, an interviewer will offer you a drink anyway, and won't hold it against you if you accept. 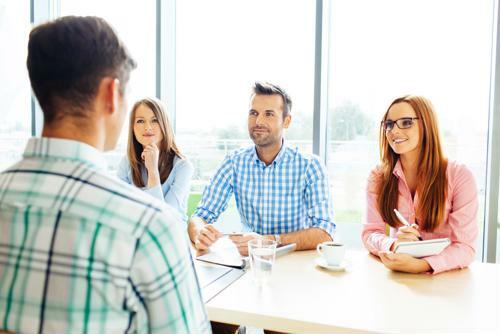 At the end of just about every interview, the hiring manager will ask, "Do you have any questions for me?" and the answer should always be yes, according to Inc. magazine. If you've done plenty of research anyway, you might as well take advantage of it and come up with a few questions beforehand that show you're really interested in the position or what the company does as a whole. That little extra bit of enthusiasm and go-getter attitude will likely serve you well. The general rule of thumb when interviewing for a position is to dress "one up" from your role, Inc. noted. That is, if your office is business-casual, wear a suit. If it's casual, wear a shirt and tie. It's worth noting, however, that hiring managers may also frown on candidates whose style is a little too "fashion-forward," so playing it conservative is usually a good idea as well.